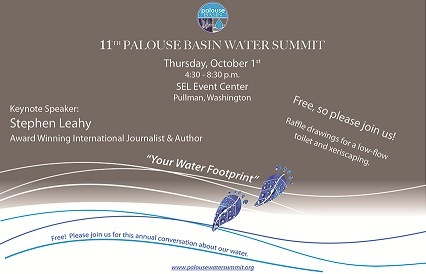 If you plan to attend the summit, please register! 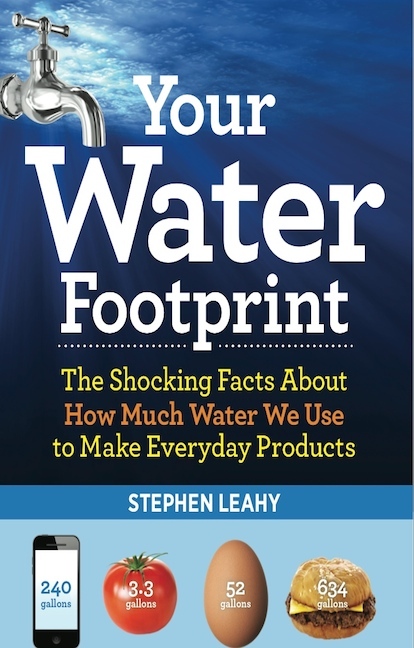 Stephen is an experienced communicator, award-winning journalist and author of the critcally-acclaimed book Your Water Footprint. In the midst of a successful corporate career Stephen changed direction to pursue his twin passions for writing and the environment. He has written more than 2000 articles on science and environmental topics around the world for National Geographic, New Scientist, The London Sunday Times, The Guardian, Vice Magazine, Al Jazeera, Maclean’s Magazine, Earth Island Journal, DeSmog Canada, The Toronto Star, Wired News, China Dialogue, Mo Magazine (Europe), TerraGreen (India), and Common Dreams. In 2012 he was awarded the prestigious Prince Albert/United Nations Global Prize for Climate Change and Environment Reporting. Stephen has given talks at conferences, symposiums, university seminars, schools and other events in many countries. It takes more than 2,000 gallons of water to make a single pair of jeans. That morning cup of coffee required 37 gallons of water before it found its way to your table – water that was used to grow, process and ship the coffee beans. When we spend money on food, clothes, cellphones or even electricity, we are buying water – a shockingly large amount of water. 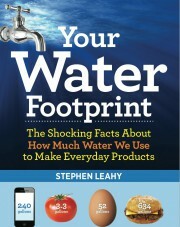 Your Water Footprint reveals how water is essential to our way of life in ways we never imagined. While water usage continues to soar, shortages now affect more than 3 billion people including millions of Americans and Canadians. A decade from now 3 out of 5 people will face water shortages.